It was so great to find your post. Our family used the Organdie design dishes when I was growing up and I found them again going through my mom’s things recently. I don’t have them with me (yet), so I was trying to find out what they were on the internet. Your posts about the Vernonware are great, and they inspire me to enjoy them once I can get my hands on them! Thank you for your kind comments! I really like the Organdie pattern, and they would be great for display and regular use. The fact that the dishes will remind you of your childhood makes them even more special! Enjoy! Thank you for the great information! I just purchased a piece so I found your material very useful! I put my Metlox Vernon Daisy plate in the toaster oven on toast, and I heard a loud ‘pop’ noise and saw that it cracked all the way thru, even though it said “safe in oven and dishwasher”. Thanks for sharing Joy. I’m sorry about the plate but you give us a good cautionary example. I’ve updated the post with a bit of a warning. Loved the information on this site regarding Vernonware. I inherited a 100+ piece collection including the miniature display piece and was going to just donate it to a local charity. I might just have to keep it now – or sell most of the more unusual pieces = soup crocks, coffee cups, salt and pepper shaker, etc. Wow Lori, that sounds like an impressive collection! What pattern do you have? If you don’t want all those pieces, I think donating a small set of the most useful pieces to charity would be great (plates, bowls etc). The charity would appreciate it and you might start someone on a new collection. I would probably keep the whole set, or at least the really unusual pieces, but of course I’m a bit biased 🙂 Thanks for sharing! Hate to brag, hehe, but I’ll be 60 next week! 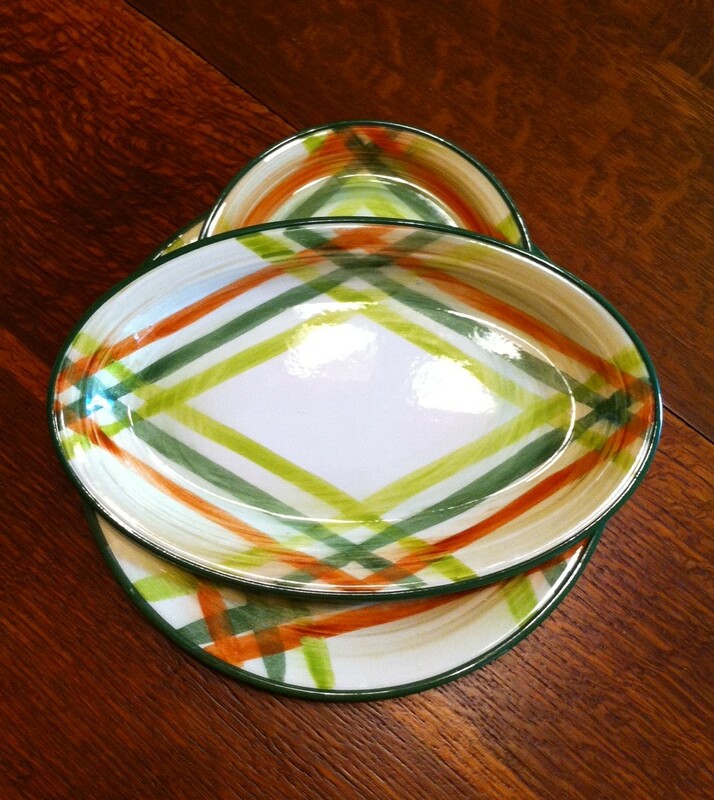 And I fell head over heels in love (truly, in rapture) with 2 little bread plates of Tam’O’Shanter I found at a junk store, when I was 15 yrs old. Had to have them, luckily I had a dime on me! Never fell out of love.. I too grab every piece, always have all of my life, and all 3 of my grown kids love the stuff still! I was lucky enough to find not one, but 2 full sets (Homespun & Organdie) some yrs back. My kids follow my rule of not using the dishwasher on them, and hand wash the dishes separately daily. After all these years, they look great, just like new. 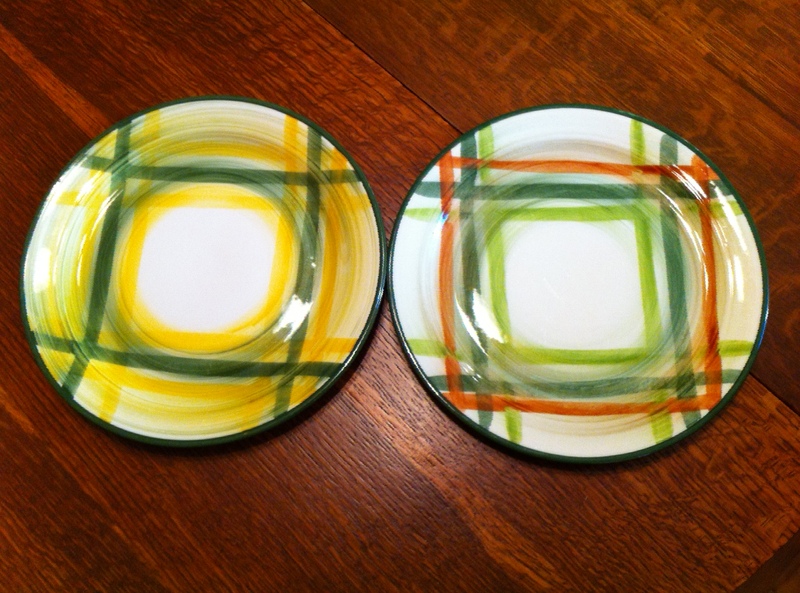 But I have seen a few pieces along the way I did not purchase, as the top glaze was worn down, from dishwashers. The gloss was gonzo. ~I do think our dishwashers and detergents today might be slightly better, but I would still caution about regular dishwasher use. 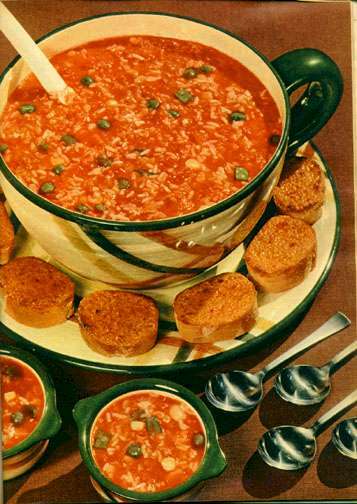 Microwaves are a no-no for ANY vintage pottery/china not specifically made for such. 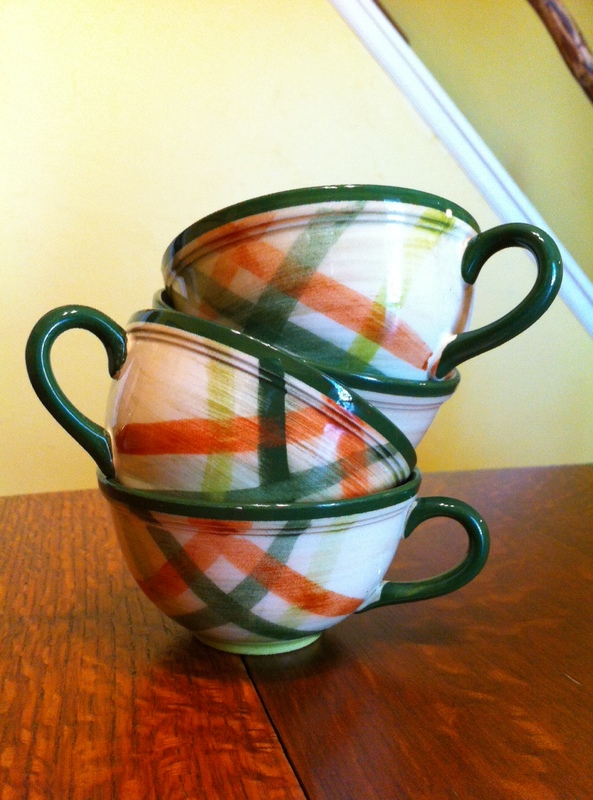 Lead in the glaze can wreak havoc, air bubbles blow, you really don’t want to try it, nope! (don’t even try it). Toaster ovens,..well, no old pottery is made for having sudden heat strokes in spots. 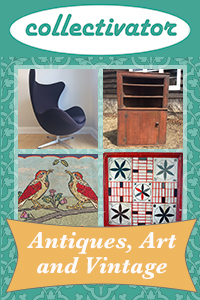 And again, remember glazes of yesteryear can get very hot, and be unevenly tricky, unlike glazes generally used today. The molecules heating at different rates will affect the brittle clay body within, too. Have a heart, be kind to your vintage sets, and you will still find them sparkling 40 MORE years from now!! Thanks for the comment Suze! Great advice. 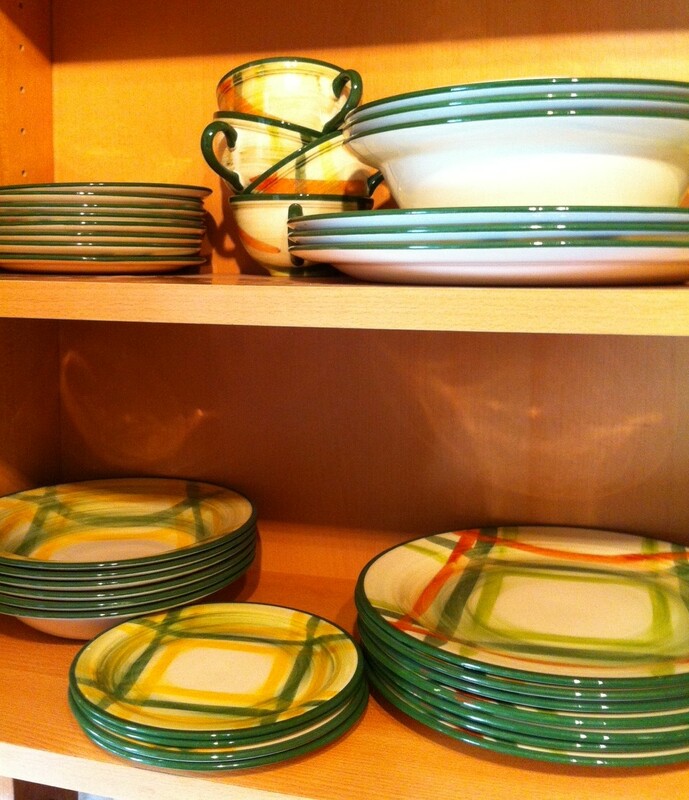 I’m very careful to stop using dishes with any break in the glaze, and never put my dishes in the microwave or oven. Vintage does take a little more care but it’s still very durable and worth it for the beauty! Do not, I repeat, do NOT put your Vernonware in the dishwasher. Over time, the colors will fade tremendously. These dishes were never made to be put in a dishwasher and were actually manufactured before dishwashers were household items. They were NEVER meant to withstand a dishwasher. 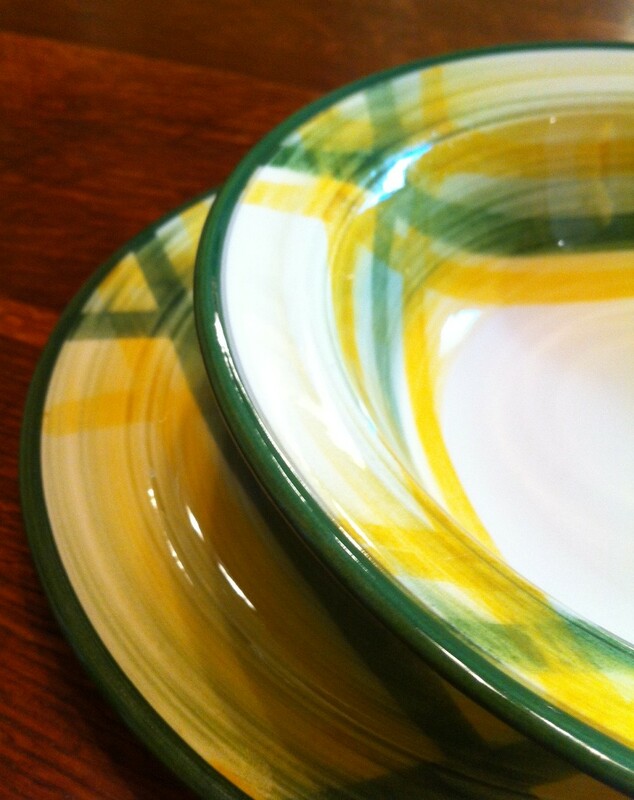 I have a love affair with my vintage dishes and spend the extra time to wash them all carefully by hand. Trust me… don’t blow it! Thank you Wendy! I appreciate the words of wisdom and in fact you are right. I’ve updated the original post to correct my dishwasher position. 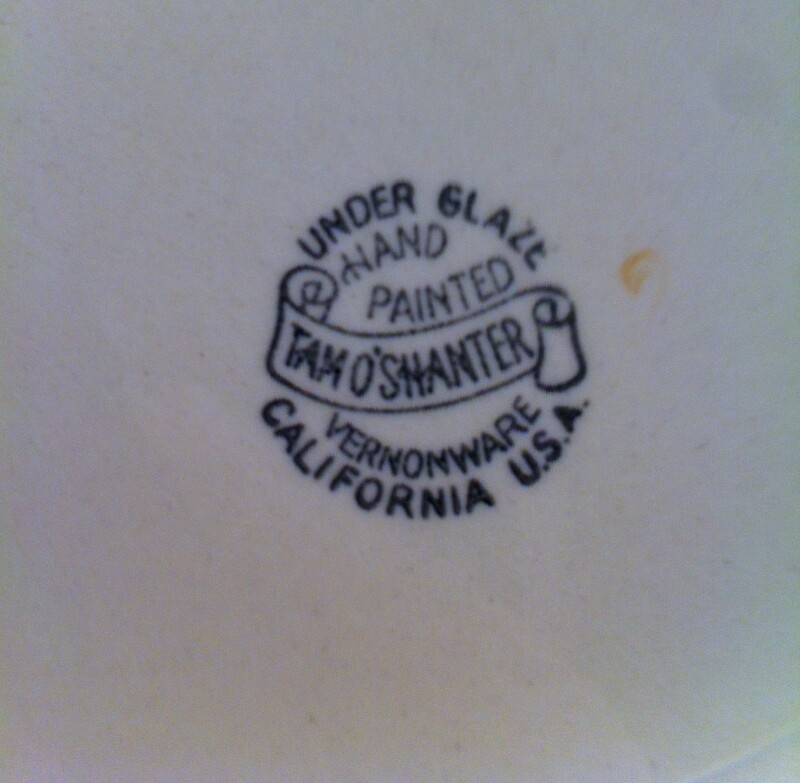 I found the glaze getting a little dull after a few years of the dishwasher and now I hand wash my Vernonware. It’s not hard at all (especially when the cutlery and everything else can still be put in the dishwasher). Thankfully the damage is very minimal. Cheers! Haha!! Good job! I love your gorgeous dishes and would hate to see them ruined – My mother routinely put her wedding dishes in the dishwasher, but dishes from 1948 couldn’t take it, and those lovely pink roses got horribly faded… (They rarely used the teacups, so now I have a sweet reminder – among others – of my dear parents.) Enjoy those dishes of yours!! 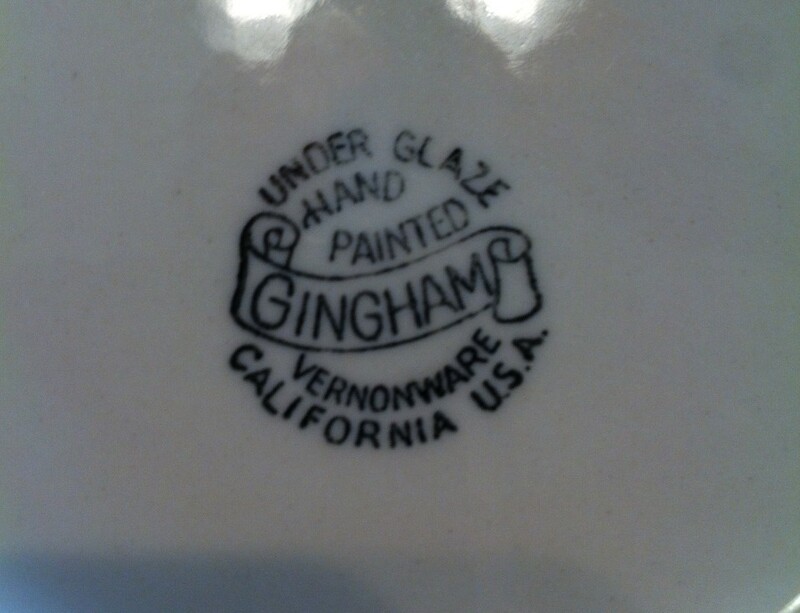 Thank you for this lovely overview of Gingham and Vernonware!